I've been gazing, for more than a day now, at a site nearly blank save for a few luminous raindrops. What to write first? What to read first -- or rather which of the recordings stored here on my computer to post first ? I opted for Robert Frost's "Going for Water". It seemed a bit counterintuitive at first: Here in the long warm days of late June, I post a poem about autumn falling into winter. It's a poem about a creek long ago in New England. It's a poem about a creek restored to its own in Seattle. (At least to me it is.) Stored on my computer I have a picture labeled Ravenna Creek Reflection. I will have so many decisions to make about what direction to go in these multimedia posts. 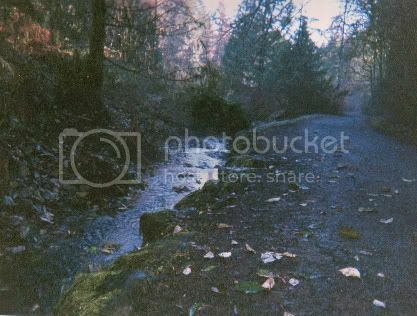 I'm starting with a creek that I have followed many times. In some sense metaphoric sense, I go where the creek goes.